Acidification The lowering of pH in soils or water. Commonly associated with changes caused by external processes such as Acid precipitation and acidic runoff. Alluvial deposits (alluvium) Material such as clay, silt, sand, and gravel deposited by modern rivers and streams. Amphipods A group of crustaceans that includes e.g. freshwater shrimps. Anadromous Used to describe fish that spawn in fresh water after spending most of their lives in the sea. The best-known anadromous fish are salmon, which hatch in small freshwater streams, go down to the sea and live there for several years, then return to the same streams where they were hatched, spawn, and die shortly thereafter. Salmon are capable of going hundreds of kilometres upriver, and human dams must install fish ladders to enable the salmon to get past. See also Catadromous. AQEM The development and testing of an integrated assessment system for the Ecological quality of streams and rivers throughout Europe using Benthic macroinvertebrates. Aquatic macroinvertebrates Macroscopic animals without backbones ("invertebrates") that are large enough to be seen with the naked eye ("macro", e.g., > 0.5 mm). At least one stage within its life cycle is bound to water (streams and rivers, lakes, groundwater). Examples of macroinvertebrates include: aquatic worms, snails, clams, crayfish, leeches, and the larval and nymph stages of many insects (e.g., dragonflies, mosquitoes, and mayflies). Aquatic macroinvertebrates are excellent indicators of water quality because of their strong relationship to pollution or various other Pressures. They are easy to identify, capable of integrating over different temporal scales, and most frequently used for aquatic bio-indication worldwide. Aquifer A water-bearing layer of soil, Sand, Gravel, or rock that will yield usable quantities of water to a well. Bayesian (posterior predictive) inference Bayesian (posterior predictive) inference is a branch of statistical inference that permits the use of prior knowledge for assessing the probability of model parameters in the presence of new data. Bayesian inference has been termed 'subjective' inference, because it allows a certain subjectivity in the selection of the prior distribution and the prior distribution can greatly affect the posterior distribution (the results). Bayesian inference is also regarded as a useful tool for the exploratory analysis of data and as a way of rigorously comparing sets of assumptions. The use of prior distributions nevertheless necessarily implies a greater responsibility on the part of the researcher for ensure that no unintentional biases are introduced into the results through such prior distributions. Bayesian inference and MCMC methods are no more difficult to implement than classical statistical methods. Even models with a large number of correlated parameters can be fitted using modern computational methods. Malve, O., Laine, M., Haario, H., Kirkkala, T. and Sarvala, J. 2006. Bayesian modelling of algae mass occurrences using adaptive MCMC methods with a lake water quality model. Environmental Modelling and Software, 22(7), pp. 966-977. DOI:10.1016/j.envsoft.2006.06.016. Bar Submerged or emerged embankment of Sand, Gravel, or other unconsolidated material built in shallow water by waves and currents. Base flow Sustained, low flow in a stream; ground-water discharge is the source of base flow in most places. Bedrock General term for consolidated (solid) rock that underlies soils or other unconsolidated material. Benthic Living at the bottom of a fresh or salty body of water. Opposed to Pelagic. Benthos Plants and animals that live on, in, or attached to the stream, river, lake, or sea bottom. Biodiversity The variety of life in all its forms contained within a given space at a particular time. Bio-indicator An organism and/or biological process whose change in numbers, structure, or function points to changes in the integrity or quality of the environment. Bivalve A mollusc with two shells, for example, a clam or mussel. Bottom-up approach Often referred to in the context of River typology, where ‘bottom-up’ means the approach from the (bottom) local Community sampled at a site towards the deliniation of (up) large-scale geographical units, such as ecoregions or sub-ecoregions. The development of a River typology often starts ‘top-down’ and, if sufficient biological data are available, is subject to a ‘bottom-up’ validation and subsequent refinement. Opposed to Top-down. Boulders Rock fragments larger than 60 cm in diameter. Brackish water Salty water (> 0.5 ‰ salt) with less salt than seawater. Braided river A braided river channel consists of a network of smaller channels separated by small and often temporary islands called braid bars. Braided streams are common wherever a drastic reduction in stream gradient causes the rapid deposition of the stream's sediment load. Braided channels are also typical of river deltas. Buffer strip The vegetation along a stream left intact after logging or land clearing. An intact buffer strip prevents from fine sediment entry into a stream. Buffering capacity Ability to neutralize acidic input. BQE Biological Quality Elements: fish, benthic macroinvertebrates, phytobenthos and macrophytes/angiosperms and macroalgae, and phytoplankton. Calcareous Containing salts of calcium, for example, calcium carbonate as limestone rock or derived soil. Carbonate rocks Rocks (such as limestone or dolostone) that are composed primarily of minerals (such as calcite and dolomite) containing the carbonate ion (CO32-). Catadromous (Katadromous) Used to describe fish that spawn in the open sea after spending their lives in fresh water. The most remarkable catadromous fish are freshwater eels of genus Anguilla, whose larvae drift on the open ocean, sometimes for months or years, before travelling thousands of kilometres back to their original streams. See also Anadromous. Catchment basin See Drainage basin, Watershed. CEN European Committee for Standardization (Comité Européen de Normalisation). CEN contributes to the objectives of the European Union and European Economic Area with voluntary technical standards which promote free trade, the safety of workers and consumers, interoperability of networks, environmental protection, exploitation of research and development programmes, and public procurement. Channelization Enlargement or deepening of a river or river section, often combined with armouring of the river banks. Clay 1. A mineral soil particle less than 0.002 mm in diameter. 2. A soil textural class containing 40 % or more clay, less than 45 % sand, and less than 40 % silt. Cobbles Water-worn rock fragments 7.5–25 cm in diameter. Colluvial deposit Weathered material deposited by gravity (e.g., a talus slope). Community In ecology, the species that interact in a common area. Conductivity A measure of the ability of waters to conduct electricity. It increases as the amount of dissolved minerals (ions) increases. CPOM (Coarse Particulate Organic Matter) Coarse parts of organic matter, e.g., twigs, small branches, leaf packs. Crustacean An invertebrate animal with a hard exoskeleton and at least five pairs of jointed legs on the thorax, includes crabs, lobsters, copepods, amphipods, and isopods. Current Movement in a body of water caused by major ocean circulation or tides, by waves along shorelines, and by gravity-induced flow in rivers. Current preference A measure to explain the preference of Aquatic macroinvertebrate Taxa for particular flow conditions. Taxa are, e.g., divided into those preferring high current velocities (rheobiont, rheophilous) or others preferring low flow conditions (limnophilous, limnobiont), or even standing water (limnetic). Degradation The process by which a streambed is lowered in elevation by removal or Scouring of Sediment. This term is also used to refer to a damaged condition of Habitat (hydromorphological degradation, physico-chemical degradation). Detritivore Animals that feed primarily on fragments of organic matter (detritus) found in soil and bottom sediments. Discharge The volume of water that flows past a given place during a certain amount of time. Discharge is often referred to in cubic feet per second (cfs), litre per second (l s-1), or cubic metre per second (km³ s-1). 1 km³ s-1 = 1,000 l s-1. DPSIR (DPSIRR) The causal framework for describing the interactions between society and the environment adopted by the European Environment Agency: driving forces, pressures, states, impacts, responses (extension of the PSR model developed by OECD). Drainage basin The land area that contributes water to a stream or lake system or directly to the ocean; also referred to as a catchment basin. Drainage divide A boundary between adjacent drainage basins or Watersheds. Driver An anthropogenic activity that may have an environmental effect (e.g., agriculture, industry, hydropower generation, navigation, flood protection). Ecological (quality) status Terminus defined in the EU Water Framework Directive (WFD) to classify a surface Water body into five quality classes: high = reference, good, moderate, poor, and bad. Ecological assessment (system) Assessing the Ecological status using biological quality elements, e.g., Aquatic macroinvertebrates. Ecological zone Term used by the FAO to delineate ecologically distinct geographical entities with respect to the principal wooded vegetation. In context of ASSESS-HKH ecological zone is used synonymous with Ecoregion. Ecoregion An ecoregion is "a relatively large area of land or water that contains a geographically distinct assemblage of natural communities." An ecoregion is associated with characteristic combinations of geology, topography, climate, landform, flora, and fauna that characterise that region. In the context of ASSESS-HKH, ecoregion and Ecological zones are used synonymously. Ecosystem The interacting populations of plants, animals, and micro-organisms occupying an area, plus their physical environment. Emergent plant A plant rooted in shallow water with much of the stem and most of the leaves above water. Endemic Confined to a specific geographic area. EU Water Framework Directive (WFD) Directive 2000/60/EC establishing a framework for community action in the field of water policy. The WFD provides the legal framework by the European Commission to obtain a ‘good Ecological quality’ in all surface and ground waters of the European Union by the end of 2015. The WFD passed the European Parliament on December, 22nd 2000. Eutrophication Enhanced primary productivity caused by nitrogen and phosphorous, organic pollution, intense catchment land use and habitat degradation affect almost all European surface waters. Ecosystem functions have been lost, and many aquatic species have disappeared from entire ecoregions. FAME The development of a fish-based assessment method for the ecological status of European rivers – a tool to support the implementation of the European Water Framework Directive (WFD). Feeding type A measure to explain the preference of Aquatic macroinvertebrate Taxa for particular food, such as Sediment feeders, Filter feeder, or Predators. Filter feeder An organism that obtains its food by straining particles from the water. Either passive solely driven by the current or active by moving the body or specific filtering parts. Floodplain The land bordering a stream, built up of sediments from stream overflow and subject to inundation when the stream floods. Fluvial deposits All sediments, past and present, deposited by flowing water, including Glacio-fluvial deposits. FPOM, Fine particulate organic matter Small parts of organic mattes, e.g., leaf fragments. Glacio-fluvial deposit Material moved by glaciers and subsequently sorted and deposited by streams flowing from the melting ice. These deposits are stratified and may occur in the form of outwash plains, deltas, or terraces. Glide A part of a stream that is characterized by a smooth, easy movement of water, usually just upstream of a riffle. Gravel Rock fragments 2–7.5 cm in diameter. Ground moraine Rolling plain that has gently sloping swells, sags, or basins made of till. Groundwater Water in the zone of saturation where all open spaces in sediment and rock are completely filled with water. Habitat Habitat is the place where a particular species lives and grows. It is essentially the environment – at least the physical environment – that surrounds (influences and is utilized by) a species population. Habitat preference A measure to explain the preference of Aquatic macroinvertebrate Taxa for particular Habitats, such as Stones, Sand, or => Large wood. Herbaceous Descriptive of non-woody plants with no above-ground persistent parts. Herbicide A chemical or other agent that applied for the purpose of killing of undesirable plants. See also Pesticide. Herbivore An animal which feeds on living plant material. Hierarchical linear model (HLM) Hierarchical linear modeling (HLM) also known as multi-level analysis, is a more advanced form of multiple linear regression. ANOVA with random effects is a simple example of hierachical linear model. Multilevel analysis allows variance in outcome variables to be analysed at multiple hierarchical levels, whereas in multiple linear regression all effects are modelled as occurring at a single level. Thus, HLM is appropriate for use with lake water quality data which are nested within lake types or ecoregions. Hydrography The mapping of the characteristics of oceans, lakes, and rivers. Hydrology The science of the properties, distribution, and effects of water. Hydromorphology The physical characteristics of the shape, the boundaries and the content of a water body. The hydromorphological quality elements for classification of ecological status are listed in Annex V of the WFD. Impact The environmental effect of the pressure (e.g., fish kill, algal bloom, extinction, ecosystem modification). Impoundment A structure built to maintain desired water level; commonly used in waterfowl management. INCO International Cooperation programme by the European Union (EU) to help ensure Europe’s strong and coherent participation in the research initiatives conducted at international level in order to push back the boundaries of knowledge or help to resolve the major global issues for example as regards health and environment. Index (plur. : Indices) Statistical measure to compare the development with respect to an earlier time. Stock indices characterize the temporal development of stock exchange rates, biotic indices characterize the temporal alteration of the Ecological status. Indicator Environmental and ecological indicators are used to communicate information in quantitative terms about ecosystems and the impact human activity has on ecosystems to groups such as the public or government policy makers. Infauna Benthic animals that burrow into the substrate. Insecticide A substance or mixture of substances intended to prevent, destroy, or repel insects. Introduced species Non-native species brought into an area intentionally or accidentally by humans. ISO International Organization for Standardization. Network of the national standards institutes of 151 countries, on the basis of one member per country, with a Central Secretariat in Geneva, Switzerland, that coordinates the system. Karst topography A landscape typical of gypsum and limestone areas, where sinkholes have formed as a result of the dissolution of rocks by rainwater; narrow, crumbling ridges separate the sinkholes. Lacustrine deposits Material deposited by or settled out of lake waters and exposed by the lowering of water levels or the elevation of land. These sediments range in texture from sand to clay and are usually varied (layered annual deposits). Large wood (LW) Coniferous or deciduous logs, limbs, or root wads twelve inches or larger in diameter that intrudes into a stream channel or nearby. Lentic Related to slow-moving water, such as in lakes and bogs. Life cycle The series of changes or stages undergone by an organism from fertilization, birth or hatching to reproduction of the next generation. Limnetic Related to the environment of lakes and ponds. Littoral The zone between the extreme high-tide and extreme low-tide levels in the sea; also the zone from the shore to the light-compensation level of the sea and lakes. Load The transfer of material, dissolved or particulate, associated with a flow of water. Loam A soil mix of coarse Sand, Silt, Clay, and organic matter. Loess Deposits composed primarily of windblown silt and lacking visible layers. Log Large wood of at least 10 cm diameter, e.g., a large branch, tree stem, tree trunk. Lotic Related to fast-moving water, such as in most streams and rivers. Macrophyte All aquatic higher plants, mosses and characean algae, but excluding single celled phytoplankton or diatoms. Management plan The management plan lists the selected water quality and quantity objectives and defines the provisions and action priorities to be implemented to achieve the assigned objectives. Meander A loop-like bend in a stream or river that develops when a watercourse flows through level land and erodes its floodplain. Mechanistic model Mechanistic models (also referred to as 'process-based', 'phenomenological' or 'deterministic' models) apply a set of equations that attempt to describe all the processes or mechanisms relevant for the prediction (extrapolation) of a target variable. Mechanistic modelling requires an understanding of abiotic and biotic processes in a system, as it is based on assumptions about the processes that are expressed as equations. Mesohabitat Basic structural element, such as a riffle, run or pool in rivers or littoral and profundal in lakes, , river margin, mussel bank, Riprap, or fallen tree. Metadata Description of the characteristics of a set of data. Microhabitat Zones of similar physical characteristics within a mesohabitat unit, differentiated by environmental characteristics (e.g., substrata type, water velocity, light, temperature or depth). Microscopic Of such a size as to be invisible to the unaided eye but readily visible through a microscope. Mitigation measure A certain activity to reduce the impact of a Pressure. For example, a waste water treatment may reduce organic pollution, re-meandering of a river section may reduce hydromorphological degradation. Molluscs Unsegmented invertebrate animals that possess an external or vestigial calcium carbonate shell; they include clams, snails, sea slugs, and squid. Moraine Accumulations of material, mainly till, deposited directly by glaciers. Mud Loose slushy fine sediment consisting of clay, silt, fine sand, and organic material. Often water-formed and deposited on the bottom of lakes and rivers. Multi-habitat sampling (MHS) A sampling technique that aims at sampling all Habitats encountered at a sampling site related to its proportion at the site. Originally, 20 sampling units are taken, each of which represents 5 % substrate coverage of the stream bottom, and pooled to one multi-habitat sample. Multi-metric index An Index that consists of several single Metrics, combined to one multi-metric index. NGO Non-governmental organisation. Organisation not constituded by official governmental delegates of the member countries (e.g., Greenpeace, CEN). Non-point source A pollution source that cannot be defined as originating from discrete points such as pipe discharge. Areas of fertilizer and pesticide applications, atmospheric deposition, manure, and natural inputs from plants and trees are types of non-point source pollution. See also Point source. Nutrient Element or compound essential for animal and plant growth. Common nutrients in fertilizer include nitrogen, phosphorus, and potassium. Oligochaete The group of annelid worms that includes the earthworm. Omnivore An animal that can feed on almost anything, including living and dead plant and animal material. Organic matter The organic fraction of the soil; includes plant and animal residues at various stages of decomposition, cells and tissues of soil organisms, and substances synthesized by the soil population. See also FPOM, CPOM. Organic pollution Any organic or partly organic Load polluting streams and rivers with dissolved and particulate organic matter, e.g., sewage, manure, industrial effluents. Due to aerobic bacterial decomposition of the organic material organic pollution causes severe oxygen decrease in rivers and lakes and, hence kills fish and Aquatic macroinvertebrates. Oxbow lake A lake formed when river Meanders are cut off from the main channel. Parameter Indicative attribute of a quality element (physical data, chemical data, Aquatic macroinvertebrates, fish, etc.) to assess the Ecological status of a Water body. Examples on parameters relevant for the biological quality element ‘composition and abundance’ of Aquatic macroinvertebrates are. : number of species or groups of species, presence of sensitive species or groups of species, and proportion of tolerant/intolerant species. Peat A dark-brown or black organic material produced by the partial decomposition and disintegration of mosses, sedges, and other plants which grow in marshes and wetlands. Pebble Term often synonymously used for Gravel, grain size 2–7.5 cm diameter. Pelagic Living and feeding in the water column, as opposed to living associated with a sea or lake bottom, Benthic. Pesticide A chemical applied to crops, rights of way, lawns, or residences to control weeds, insects, fungi, nematodes, rodents, and other "pests." See also Herbicide, Insecticide. pH The intensity of acidity and alkalinity, expressed as the negative logarithm of the hydrogen ion concentration. A pH of 7 is neutral; lower values indicate acidity and higher values alkalinity. Physiography Description and interpretation of landforms. Phytoplankton Microscopic plants that float or drift almost passively in oceans, lakes, or rivers. Point source A source at a discrete location such as a discharge pipe, drainage ditch, well, or concentrated livestock operation. Point source pollution arises from a discrete source , e.g., the discharge from a sewage treatment works. See also Non-point source. Pool A relatively deep, still section in a stream. Predators A Taxon feeding on other life animals, e.g., dragonflies or stoneflies. Pressure The direct environmental effect of a Driver (e.g., altered flow conditions, changing water chemistry, Organic pollution, Water abstraction). Pressure (stressor) gradient A gradient describing the different levels of impact caused by a pressure (stressor). Quality assurance (QA) Procedures implemented to ensure results of monitoring programmes meet the required target levels of precision and confidence. Can take the form of standardised sampling and analytical methods, replicate analyses, ionic balance checks and laboratory accreditation schemes. Quality Element QE Encompasses hydromorphological, physico-chemical and biological quality elements. Recovery The recovery of the biota of an ecosystem or water body from the adverse impacts of environmental pressures. Recovery is expected in consequence of appropriate response measures and activities (e.g., restoration, waste water treatment, other pressure reduction). Reference (condition) Natural or near-natural status, characterized by least impairment due to human activities, such as agriculture, settlement, organic pollution, eutrophication, water abstraction, etc. 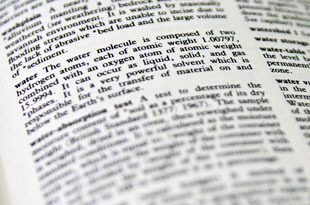 For any Water body type or River type reference conditions or ‘high ecological status’ is a state in the present or in the past where there are no, or only very minor, changes to the values of the hydromorphological, physico-chemical, and biological quality elements which would be found in the absence of anthropogenic disturbance. Reference criteria Selected environmental and biotic criteria to define reference conditions, such as hydrologic and morphologic status, physical-chemical parameters, land use characteristics, channel and bed form. Response The policy, measures and actions to improve the state of a water body (e.g., regulation and restriction of water abstraction, limitation of point source discharge, development of best practice measures, restoration schemes, water quality management, agricultural and fishery policies). Restoration measure Activity to improve the status of degraded waters, be it waste water treatment or structural improvements measures. Riffle A shallow section in a river or stream where the water flows swiftly; may be less turbulent than rapids. Riffle-pool section Regular alternation of shallow (Riffle) areas with higher current velocities and gravel-cobble substrates followed by deeper slow-flowing Pool areas with finer substrates. Mountain streams often have a fixed riffle-pool sequence. Riparian (area) The area adjacent to a stream or river with a high density, diversity, and productivity of plant and animal species relative to nearby uplands. Riparian habitat The aquatic and terrestrial habitat adjacent to streams, lakes, estuaries, or other waterways. Riprap (rip-rap) Common bank fixation method by introduction of loose boulders, which are poured on the bank. River basin The whole river system including all tributaries and springs from the source to the mouth (sea). River basin scale The spatial extent of a whole river system. River type A river type is a constructed ecological entity with limited internal variation in its biotic and abiotic components, which shows a minimal and constant biotic and abiotic discontinuity in comparison with other entities. Such river types might serve as „units“, for which an assessment system can be applied. A river type should always be defined on the basis of natural or near-natural reference sites. Riverine habitat The aquatic habitat within streams and rivers. Runoff The part of rain and snowmelt that runs over the ground and into a stream or other water body. Sand 1. A mineral soil particle between 0.05 and 2.0 mm in diameter. 2. A soil textural class containing more than 85 % sand and less than 10 % clay. Sandstone A Sedimentary rock composed predominantly of sand-sized quartz grains. Saprobic Index Biological index system derived from the Saprobic System to measure the impact of Organic pollution. Several saprobic indices are currently used in Europe, e.g. the Austrian, Czech, and German indices. Saprobic indices are based on a selection of Aquatic macroinvertebrate taxa or aquatic microorganisms that are proved either sensitive or tolerant to Organic pollution. Saprobic System The Saprobic System was founded at the end of the 19th century to evaluate the impact of organic pollution and subsequent oxygen depletion on aquatic organisms. Today, a refined system based on some 500 Aquatic macroinvertebrates and additional microorganisms is applied in several European countries (e.g., Austria, Czech Republic, Germany). Several Saprobic Indices (sing. : Saprobic Index) are applied throughout Europe to indicate the impact of organic pollution on Aquatic macroinvertebrates. Scour(ing) Removal of sediment from the streambed by flowing water. Sediment The silt, sand, rocks, wood and other solid material that gets washed out from some places and deposited in others. Sediment feeders A Taxon feeding on fine particulate matter, often a mixture of mineral and organic particles, e.g., many aquatic worms. Sedimentary rock One of the three main groups of rock; rocks formed of material derived from pre-existing rocks by processes such as weathering, erosion, and precipitation. Sessile Attached directly to a base without a flexible joint; used when describing parts of organisms, such as leaves or flowers. Silt 1. A mineral soil particle between 0.002 and 0.05 mm in diameter. 2. A soil texture class containing more than 80 % silt and less than 12 % clay. Socio-economic aspect Any relation to societal or economical attributes. Socio-economic aspects of water management are, e.g., drinking water supply, water-borne-deseases, or other water uses. Space-for-time substitution A method that facilitates studies concerned with temporal trends that are impossible to witness in one human life span (or in a given study period). Species Any subspecies of fish or wildlife or plants, and any distinct population segment of any species of vertebrate fish or wildlife that interbreeds when mature. Species (taxa) richness The number of species (taxa) present in a defined area or sampling unit. Species diversity An ecological concept that incorporates both the number of species in a particular sampling area and the evenness with which individuals are distributed among the various species. See also Biodiversity. Species trait Biological properties of species or higher taxonomical units. Species traits may be attributed to the life cycle (e.g., voltinism, number of progeny), morphology (e.g., respiration, body size), or ecological behaviour (e.g., Habitat preferences or Feeding types). Stakeholder A person or organisation with an legitimate interest (or "stake") in what may affect the economy or environment. Standardisation Standardisation, in the context related to technologies and industries, is the process of establishing a technical common framework (= standard) among competing entities in a market or any other community, where this will bring benefits without hurting competition. Standadisation aims at broadening the applicability of, e.g., methods, manuals, or specifications, such as in case of cellular phones which today can be used worldwide. State The condition of a water body resulting from both natural and anthropogenic factors (e.g., hydrological, morphological, chemical and biological conditions). Statistical model A statistical model (also referred to as 'empirical' model) is a set of mathematical equations which describe the behaviour of an object of study (response variable) as function of explanatory variables and random variables defined by some given probability distributions (explanatory variables). Consequently, the output of a statistical model is also given by a probability distribution. In mathematical terms, a statistical model is frequently thought of as a pair (Y,P) where Y is the set of possible observations and P the set of possible probability distributions on Y. It is assumed that there is a distinct element of P which generates the observed data. Statistical inference enables us to make statements about which element(s) of this set are likely to be the true one. Stones Rock fragments greater than 25 cm in diameter. Stratification Division of the water column into layers of different temperature or salinity. Stream order (Strahler) A first-order stream is the unbranched section of a river or stream. The tributary initiated by the confluence of two first-order streams is the second-order stream and so on (Strahler system). Stream bed The stream bottom. Surface water All moving and standing water naturally open to the atmosphere. Sustainable development Development activities with regard to the future usability and availability of environmental resources. Sustainable water use Deliberate use of water that ensures the long-term maintenance of a sufficient quality and quantity water. Synthesis of mechanistic and statistical models The estimation of uncertainties of a mechanistic model using Bayesian inference and MCMC sampling methods enables deterministic water quality predictions to be transformed into predictive distributions, which are more useful for statistical decision making in the context of river basin management. Taxa (sing. : Taxon) A group of any size used in the classification of things, particularly plants and animals. Taxonomical adjustment Procedure to prepare Taxa lists with different levels of taxonomical resolution to increase its analytical comparability. Usually, taxa lists originating from differently skilled researchers need to be taxonomically adjusted before statistics can be applied. Taxonomical resolution The taxonomical level of determination reached, e.g., species, genus, family, order, class, etc. Terrace A nearly level surface or bench bordering a steep slope, such as a stream terrace or wave-cut terrace. Top-down (approach) Often referred to in the context of River typology, where ‘top-down’ means the approach from (top) large-scaled environmental attributes (e.g., Ecoregion, geology, or altitude) towards (down) relatively small-scaled River types or even sub-units. The development of a river typology often starts ‘top-down’ and, if sufficient biological data are available, is subject to a ‘bottom-up’ validation and subsequent refinement. Opposed to Bottom-up. Topography Description of the geographical surface features of a region. Tributary A stream that feeds into a larger stream. Also called a feeder stream. Typology The study and interpretation of types. A typology provides the framework to group Water bodies into appropriate types (streams, rivers, lakes, etc.). A stream typology covers all stream types encountered in a pre-defined region (usually an entire country or River basin) and provides supplementary data to describe the abiotic and biotic characteristics of the stream types. Valley form The shape of the cross-section of a valley formed. e.g., by a scouring river or tectonic activities. Water abstraction The deliberate removal of water from a Water body, either surface or groundwater. Water Framework Directive Directive 2000/60/EC establishing a framework for community action in the field of water policy. The WFD provides the legal framework by the European Commission to obtain a 'good Ecological quality' in all surface and ground waters of the European Union by the end of 2015. The WFD passed the European Parliament on December, 22nd 2000. Water management Planned development, distribution, and use of water resources. Water quality map Map with streams, rivers, lakes, or other Water bodies coloured according to their ecological status. Within the European Union (EU) water quality maps display the Ecological status with five colours: blue (high status = reference), green (good), yellow (moderate), orange (poor), and red (bad). Water quality criteria Specific levels of water quality which, if reached, are expected to render a body of water unsuitable for its designated use. Water-quality criteria are based on specific levels of pollutants that would make the water harmful if used for drinking, swimming, farming, fish production, or industrial processes. Watershed A planning term that refers to the area from which surface water drains into a common lake or river system or directly into the ocean; also referred to as a Drainage basin or catchment basin. Yield The mass of a material or constituent transported by a river in a specified period of time divided by the drainage area of the River basin. Zonation The occurrence of species or communities in specific zones, each with a characteristic dominant species; commonly used to define aquatic environments. E.g., longitudinal zonation of streams and rivers: crenal, rhithral, and potamal.